With a handle - EVERYTHING under control! Bundles several bags and bags together: Thus, even when parking is lost. Simply carry instead of dragging: Saves you in the future the incisive and painful feeling of carrying drinks multipacks. 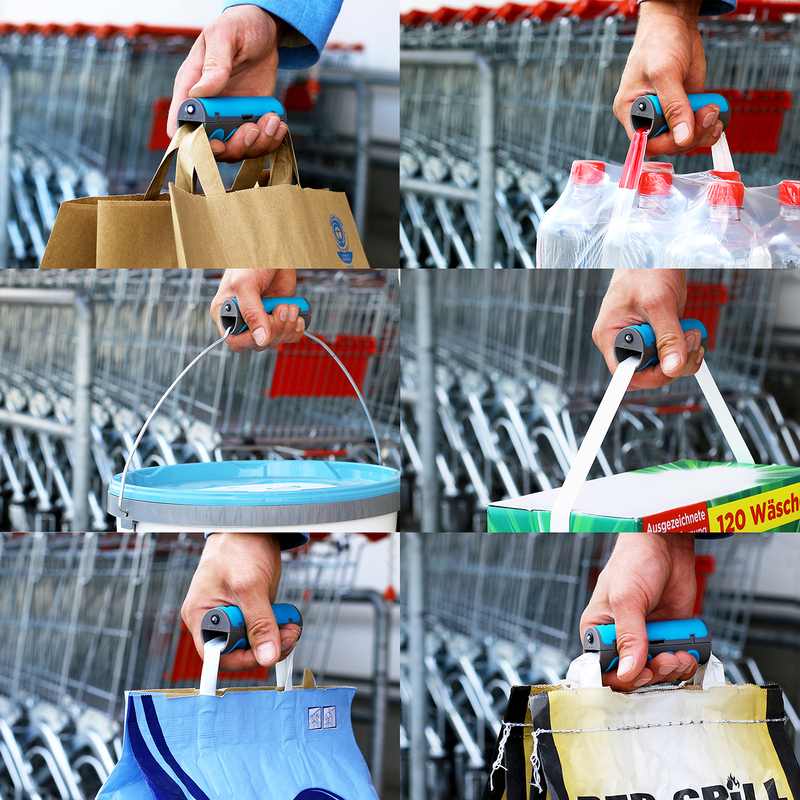 Also refurbish your shopping experience: optimizes the carrying of various bucket types just as reliably! No matter if garden or renovation work. Whether it's carrying bags, shopping bags, paint buckets, XXL detergent packaging, feed bags, etc. First-class ergonomics: Protects your hands thanks to even load distribution and a soft grip component. Optimal stability: Once closed, the hard body at up to 30kg ensures maximum comfort. 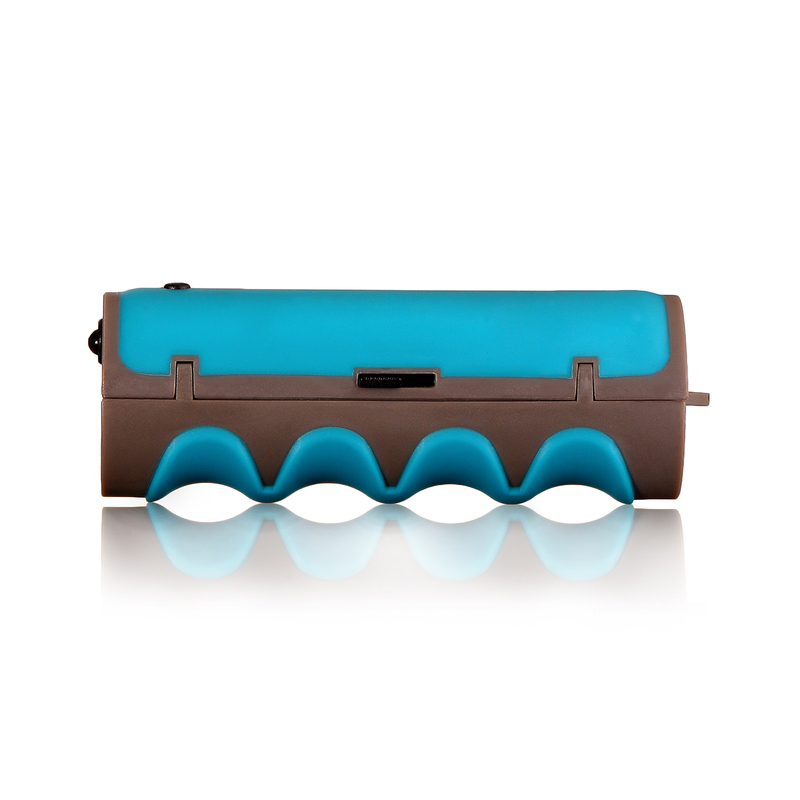 Compact dimensions and weight: With just 50 grams and 11 cm in length, the handle fits in any hand or trouser pocket. Integrated LED Flashlight: Ideal for illuminating keyholes and trip hazards in the dark. 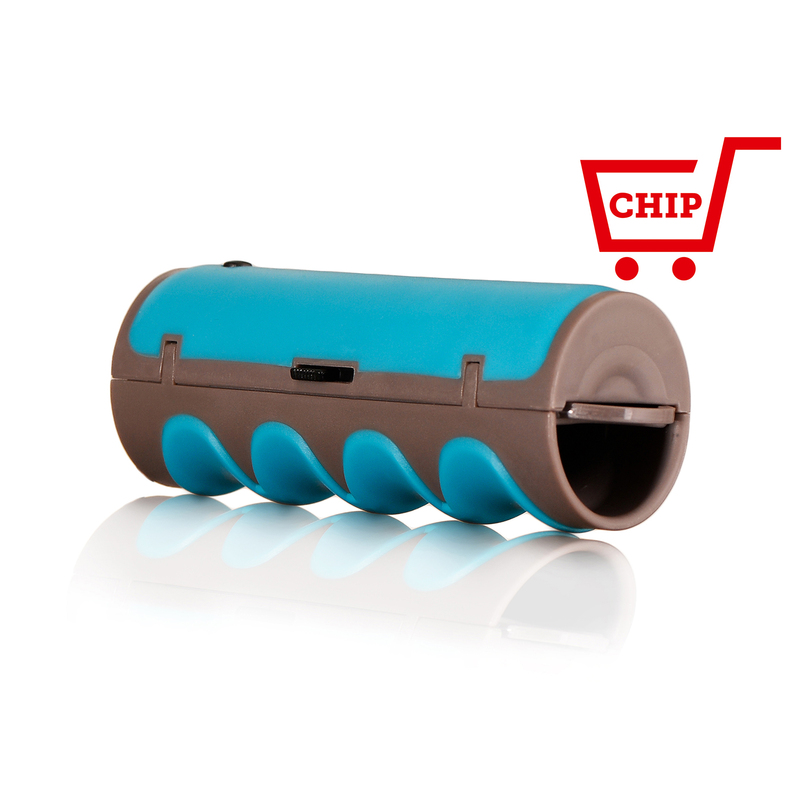 Integrated shopping chip: Ends the tiresome search for matching coins. Made of high-quality parachute silk: This particularly thin and extremely tear-resistant RipStop polyester is also used in parachutes and is also water-repellent and thus THE ideal material for long-lasting shopping bags. The seams all around are double stitched. First-class workmanship: The handles were sewn out of the fabric and reinforced with a contrasting hem. Conspicuously light and compact: Once stowed in the sewn-on sewing bag (10x14cm), it is the ideal shopping companion with its just 50 grams overall weight. 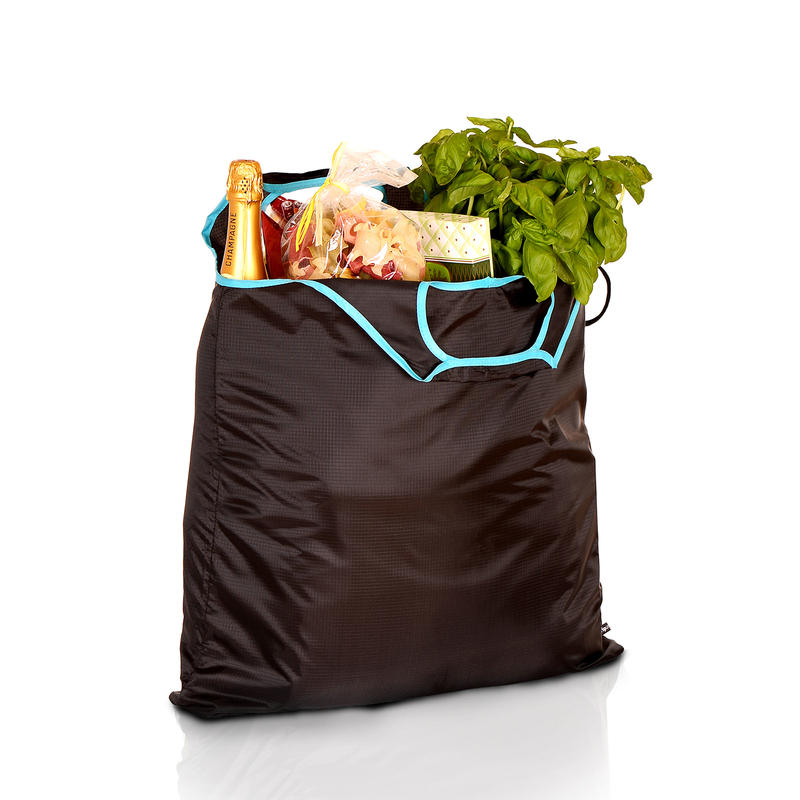 Real space miracle: The shopper with the dimensions 55x7x62cm folded offers surprisingly much storage space. Why two bags, if one does too? 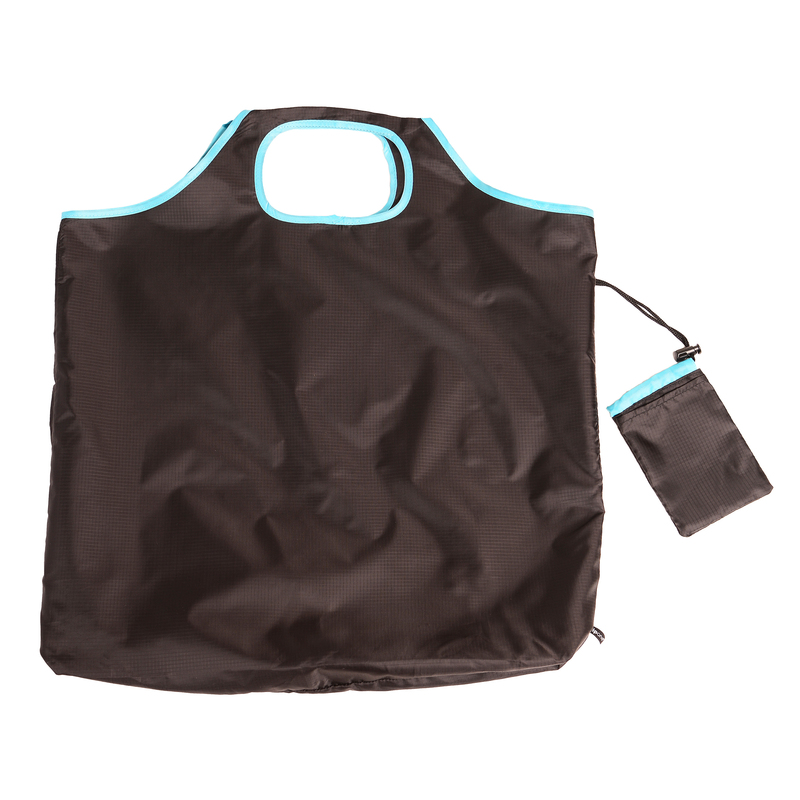 The capacity of our XXL bag goes far beyond the usual bag sizes and can be filled up to 15kg. 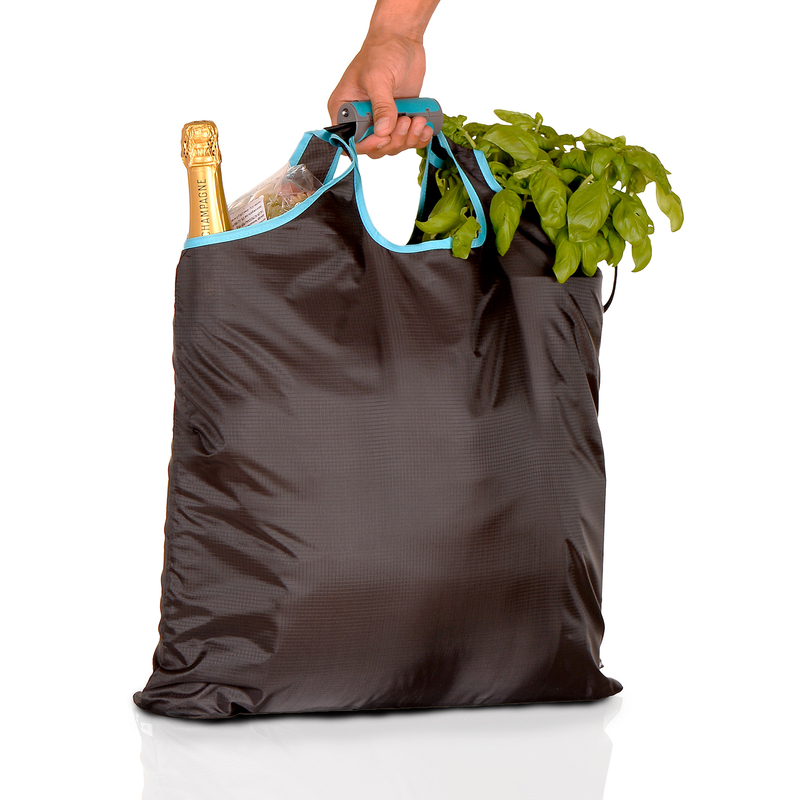 Eco-friendly shopping: fewer plastic bags make for a better environment, quite simply! Reduce the per capita consumption of currently 71 bags / year to a minimum with our high-quality, high-quality bags. Operation manual? No thanks! : Whether you are more of a folding, knitting or wrapping type, does not matter! 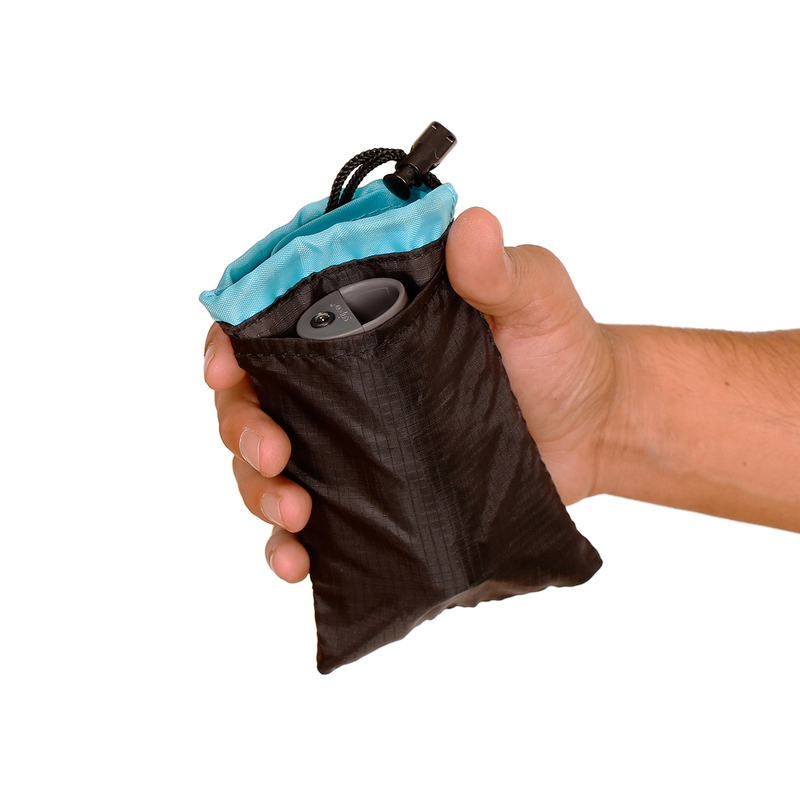 Our sewn-on pouches have been designed to fit in every situation and to everybody.